Published on August 15, 2017 in Events. 0 Comments Tags: event, Form, Hungry Sky, virtual reality, VR. Join local studio Hungry Sky as they share insight into creating Virtual Reality scenes from an artist’s perspective. After hearing about the process you will also get to see the results, with a live demonstration where you can jump into the virtual realist experience yourself. FORM and Hungry Sky invite artists, programmers, designers and curious minds of Perth to join us in the discovery of virtual reality technology as a vehicle for art. Exploring the process of collaboration between an artist and a programmer, this experience will walk the audience through the steps of creating a virtual artwork, uncovering the opportunities and limitations of this platform. Cost: This is a free event with limited seats. Email to book yours. For more details on this discussion of virtual reality, head on over to the facebook event page for this session. Published on July 20, 2016 in News. 0 Comments Tags: awards, Beneath the Waves, Black Lab Games, Dr Kate Raynes-Goldie, Hungry Sky, Periscope Pictures, Stirfire Studios, Symphony of the Machine, WAITTA Incite Awards, WASA, Win. It’s a great time to be a part of the Western Australian games community, and we’re very happy to be able to share news of the success of local game-makers with you. 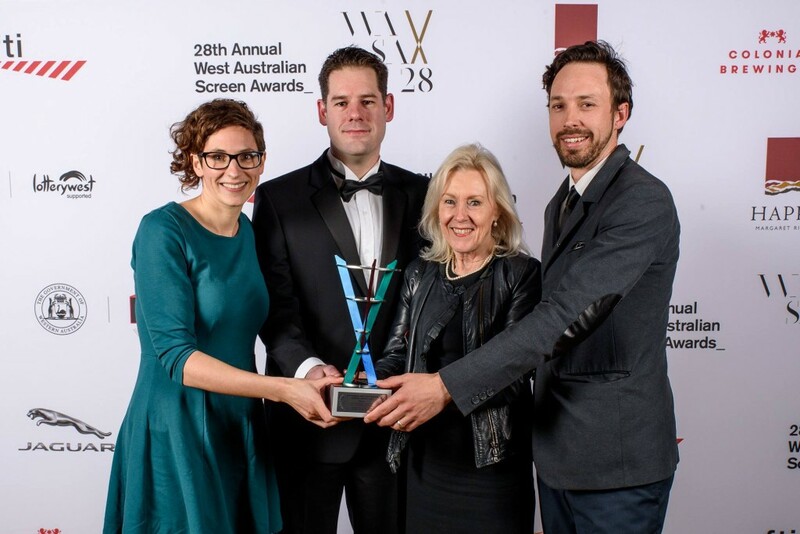 In the last month the 25th WA Information Technology & Telecommunications Alliance (WAITTA) Incite Awards took place, as did the 28th WA Screen Awards (WASAs). At these prestigious events the spotlight shone upon our excellent games industry, with a number of awards going to local developers. So here are all the details! WAITTA Incite Awards celebrate innovation and excellence across Information and Communications Technology fields in WA. 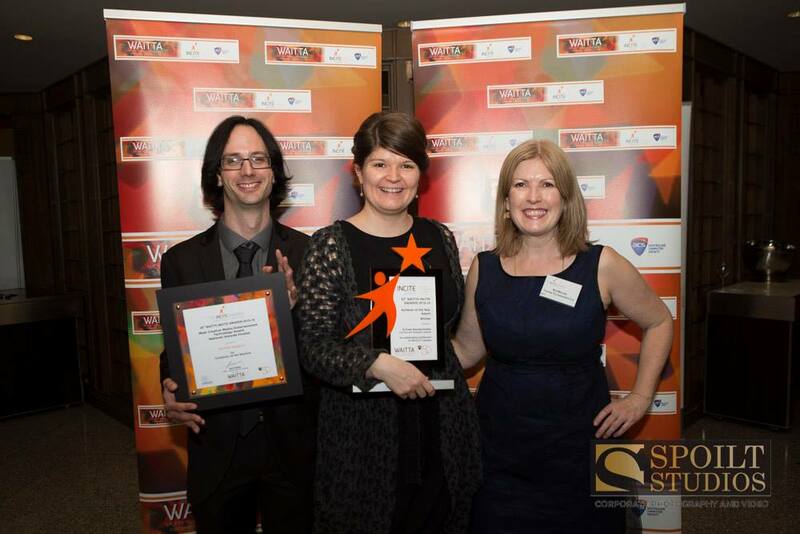 The 25th annual awards were presented in June at the Hyatt Regency, Perth. Highlights from the awards ceremony can be found here. Kate walked away from the WAITTA awards night with the appropriately fancy title of “Achiever of the Year.” It is no exaggeration to say that Kate is a champion of the local games industry; as the Director of Games & Interactive at FTI she has been the driving force behind initiatives like Playup Perth and Level One. Without a doubt her tireless efforts have helped the community grow into one of the most vibrant in the country. Her passion, dedication and hard work have not gone unnoticed, so congratulations Kate! From its origins at this year’s Global Game Jam, Symphony of the Machine has quickly become one of the most anticipated VR games of the local dev scene. Although they didn’t take out top honours for the category, Stirfire Studios will be going on to compete in the iAwards in Melbourne later this year. Presented by FTI, the WA Screen Awards are the premier celebration of West Australian screen culture, acknowledging innovation and achievement across film, music, games and interactive media. The 28th annual awards were presented in July at the Heath Ledger State Theatre, Perth. Black Lab Games must have learned a few things about strategy when making their tactical space combat game Star Hammer: The Vanguard Prophecy, as it proved to be a few moves ahead of its fellow nominees, taking out the Best Game category at this year’s WASAs. Congratulations to Black Lab Games on a very well deserved win! Created for the WA Museum, this engaging interactive documentary lets you explore the amazing Kimberley marine environment. Congratulations to local studio Hungry Sky, as well as Periscope Pictures on the win! Published on January 15, 2016 in Events. 0 Comments Tags: Hungry Sky, internet cat video festival, nekograms, playtesting. This weekend Perth is readying for the second annual Internet Cat Video Festival, which is set to feature 65 minutes of internationally curated clips of cute cats. You can also look forward to performances, dress-ups and best of all, a kitty-focused local game. You an head on over to the Internet Cat Video Festival Facebook page to stay up to date on all the details for the event. Nekograms are also on Facebook and Twitter, if you need a regular dose of cute cats to keep you going. Winners Announced for 27th West Australian Screen Awards! Published on June 30, 2015 in News. 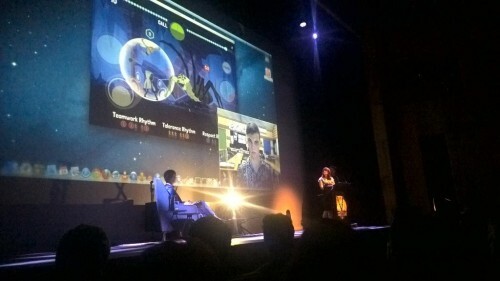 0 Comments Tags: drumbeats quest, holyoake, Hungry Sky, WA Screen Awards. 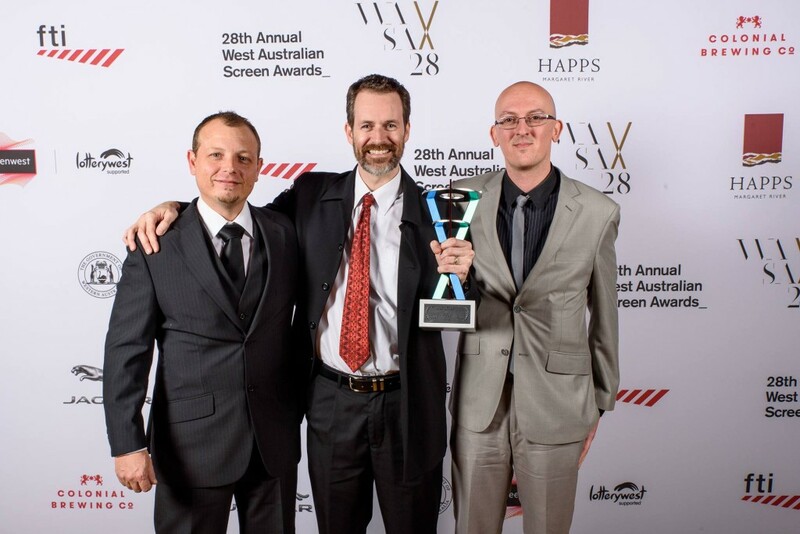 Last night saw the red carpet roll out at State Theatre Centre of Western Australia, for the 27th WA Screen Awards. Local creatives came out to celebrate and be celebrated, but in the end there can be only one winner (per category at least). So on that note *drum roll please* the winner of the Best Game award for 2015 is HolyOake with DrumBeat Quest! Building upon the Drumbeats community health program, Drumbeats Quest is a rhythm-based game designed to be played alongside mediated sessions and group exercises to help build social and emotional intelligence in young people. In addition to the Best Game category, the evening also saw the Best Interactive Production go to the teams at Hungry Sky and the WA Museum for their Dinosaur Discovery Augmented Reality Experience. This experience allowed for people to see themselves interacting with dinosaurs in real time on the big screen at the Perth Cultural Centre – fun and terrifying for the whole family! We at Let’s Make Games would like to extend our heartfelt congratulations to the winners and their fellow nominees, be they makers of games, interactive experiences or other screen endeavours. Perth Games Festival: Thank you to our sponsors! Published on September 10, 2014 in General. 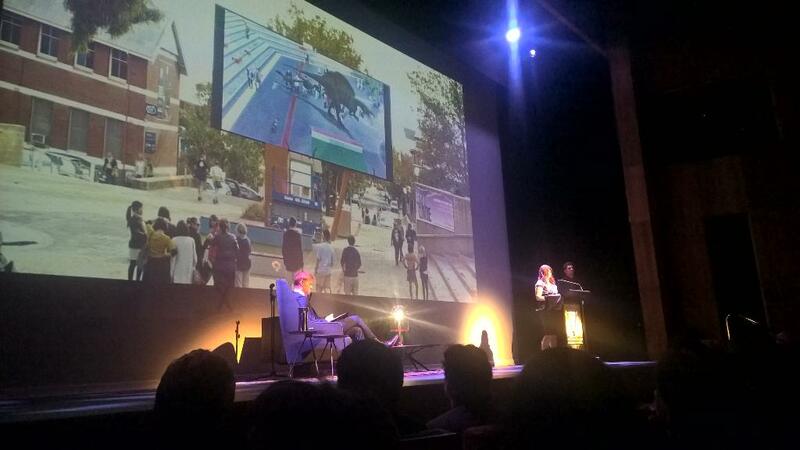 1 Comment Tags: Hungry Sky, Perth Games Festival, PGF, Sentient Computing, Spacecubed. The Perth Games Festival is just a meagre five little weeks away, and we’d like to take this opportunity between announcements to thank three very special companies that are helping to make it all happen. Thanks to our sponsors, Sentient Computing and Hungry Sky and Spacecubed, we’re able to produce the biggest Let’s Make Games event yet! Spacecubed is WA’s largest coworking space and hub for the entrepreneurial community of Perth, offering creative working space, mentoring, events and a network of likeminded ‘do-ers’ to support WA entrepreneurs and innovators who want to get their ideas off the ground. At its core, Spacecubed is about increasing opportunities for collaboration and innovation across different industries; the space fosters opportunities for social, environmental, technology and creative entrepreneurs. Sentient Computing is a process control, automation and 3D visualisation company founded in 2000 and based in Perth, Western Australia. We provide software and engineering solutions to clients within the mining, oil and gas, coal, production, transportation, environmental and power industries within Australia and around the globe. We take pride in our innovation and creativity, with a small, passionate and experienced team of engineers, developers and designers. Hungry Sky is proud to support Let’s Make Games and the Perth Games Festival. Hungry Sky is an award-winning studio that specialises in creating interactive experiences and apps, including work for the recent blockbuster exhibition, Dinosaur Discovery. We have a long relationship with Let’s Make Games (both of our directors are founding members) and are excited to see how it has grown in scale and engagement since 2009. Again, we’d like to thank our sponsors! If you’d like to keep updated on further announcements on guests and exhibitors at the Perth Games Festival, keep an eye here on the blog, or follow the event on Facebook! The Let's Make Games archives for the hungry-sky tag.